Rest In Peace Brother LEO. 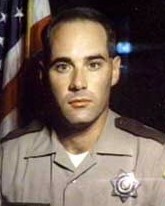 You are honored and remembered on the 18th anniversary of your EOW. Bill I’m standing outside the Bowman Training Center remembering you. First as a Paramedic, then as the officer you loved being so much. I remember you talking to me about the upcoming training at Rilea. How excited you were. We parted saying we’d meet up so you could tell me about the exercise. I will never forget my brother from the streets. Bill, your funeral was the first and hardest LEO service I attended. Numerous military funerals did nothing to prepare me for CCOM call for status. Your passing was a tragedy that could have and should have been prevented. Rest In Peace. To the Bowman family, today, we honor William for his dedicated service and devotion to duty. It was obvious he was "called" to be a deputy, first responder, dad and husband. The Oregon Legislature is proud to honor him and we pray for all of you. Happy birthday Bill. I often feel you near. Remembering you Bill on this day ... another year gone. We will forever miss your presence but feel lucky to see you in the eyes of your children. Has it been almost 12 years ... wow .. You are in my thoughts daily Corie .. Also from TOH i remember we were trying to plan a trip to Vegas so we could all meet face to face .. I'm glad you remarried .. and I know that the girls and you still think of him daily . Tom was shot several yearsa fter Bill in training and we both to this day have anxiety issues when he has range day. and never ever take those days for granted . If you read this , look me up on facebook . My heart aches for your wife and children and all you have missed in their lives. Hard to believe 10 years have past when many of us still think this happened yesterday. Spent almost all day with you and nice to see some friendly faces hanging out too. Miss you my friend and see you again soon. 10 long years ago ... and it still feels like yesterday. We still miss your family presence each and every day. We remember you on this day, as we do every day - even though the lives around us move on. It has now been 10 years since Bill's death and I see and hear from him daily in the faces of his two girls, Lauren and Grace. We extend our appreciation to those left behind who must wipe away the tears and continue to risk their lives everyday. Thank you to all emergency personnel for all that you do for us. And for never forgetting those who have died doing what they loved. Its been 10 years. I wonder what would have been different, and how your presence would have impacted others. It would be incredible to know. You will be thought of always!!! Your loss will forever teach safety, and diligence. Your heroism and service is honored today, the 9th anniversary week of your death. Your memory lives and you continue to inspire. Thank you for your service. My cherished son Larry Lasater was a fellow police officer murdered in the line of duty on April 24, 2005 while serving as a Pittsburg, CA police officer. Rest In Peace. I hold your family and loved ones in my heart's embrace. I also hold your friend Tim in thought and prayer and pray for his solace. RIP.You maybe gone but you will never be forgotten. On this the eighth anniversary week of your tragic death, please know that you are honored and revered today and everyday. From all the loving reflections left about you, I can see that you were an amazing man and what a grievous loss your loved ones have endured because of your death. May your spirit continue to soar and your memory continue to inspire. You are loved and missed by so many. Rest in Peace, Bill. A body is but for a lifetime, but spirits and souls are for eternity and yours is forever part of those who call you beloved. This reflection is sent with the utmost respect for the service Bill gave to his community and the citizens of Oregon, and for the supreme sacrifice he and his family made on September 12, 2000. I just finished a training class last week and thought of you. The safety that was stressed in class was partly due to your death, even these long years later and many states away. We were checked and rechecked over and over again. Even in death you are saving lives. Mark and I still talk about you. We're all a little older, although not much the wiser. You're missed by many. Hope there is peace.. We recall those early days at Legacy..